Fresher, Full of Life, Skin Looks As If Reborn. Day Cream SPF20. With time, skin cell renewal slows down and skin can look dull, tired and lacklustre. 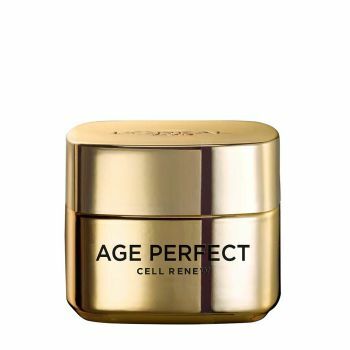 Age Perfect Cell Renew is an advanced radiance regenerating care that helps stimulate surface skin cell renewal. Impressive Results: • Renew: helps stimulate surface skin renewal • Refresh: radiance is regenerated • Restore: skin is plumped with moisture Advanced radiance regenerating care that stimulates surface skin cell renewal.